When you are interested in purchasing a new vehicle, you may wonder, “What should I do with my old one?” You could try to sell it by yourself or you could save yourself the hassle and trade it in towards your new model. 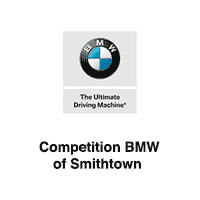 Here, at Competition BMW of Smithtown, we will gladly accept your old vehicle and put the money towards your new one. Valuing your trade is extremely easy. Use our online Edmunds Trade-In Value tool at your convenience to receive an honest estimate within just a few minutes. All you have to do is enter the make, model, year, style, and zip code, select the exterior and interior colors, check all of the added features, input the mileage, and choose which selection best matches your vehicles current condition. We will calculate what the market’s estimate would be and inform you as soon as possible. Why Is Knowing The Value Of My Trade-In Important? Not only will using our value-your-trade-in tool save you time, but it will also provide you with an estimate of how much money you will already have down on your new car before you even step foot on our lot. This means that you can get a better idea of which new BMW you can afford and how much money you may have to come up with. Once you have a better idea of what your trade-in is worth, feel free to visit our Competition BMW of Smithtown dealership and see what you can use your trade-in towards. We have many new and pre-owned vehicles available and would love the opportunity to offer you a test drive in any of our models today!